It's hard to find a good Gluten Free brownie, many of them are either too dry or conversely too fudge like. 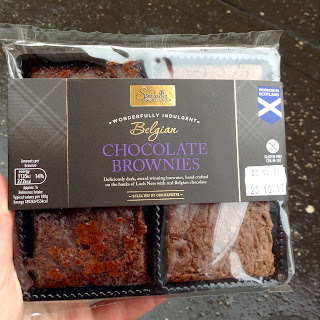 I've tried quite a few now and so far I like the Costa Gluten Free Brownie the best, but when I found these "Wonderfully Indulgent" Baked In Scotland, Specially Selected Gluten Free Brownies in Aldi (in Glasgow of all places!) recently I was super excited to try them. They're "hand crafted on the banks of Loch Ness with real Belgian chocolate" - how fancy! They cost £1.79 for 4 which is very reasonable compared to some gluten free brownies in shops. Opening the pack, they looked super squidgy and moist. I took a bite. The brownie was indeed very moist and squidgy, and very rich and chocolatey. These are super easy to eat, before I knew it I was onto my second piece! 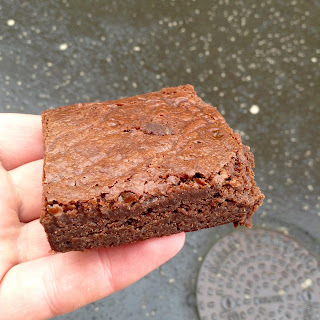 It's nice that they're squidgy rather than dry, but I did miss the more substantial texture of other brownies - I like a bit of bite to my brownies (Costa's has the perfect balance of moisture and firmness). Still, these were very tasty and certainly better than a lot of Gluten Free brownies I've tried. I would buy them again and I love how great value for money they are. Overall, should you try these if you're gluten free? Absolutely yes! 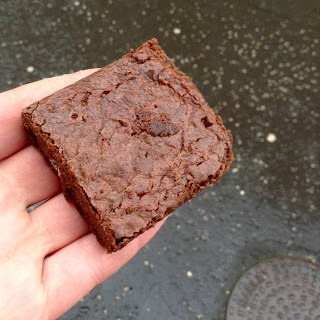 They're very indulgent and better than most gluten free brownies out there, they weren't quite the texture I wanted but that's just personal preference.